Compositions By Jorge Morel On tonebase | Learn compositions by Jorge Morel from the world's best guitarists! Browse all lessons on compositions by Jorge Morel. Use the search bar to filter the lessons by instructor, title, difficulty, etc. Born and raised in Argentina (his grandparents were actually Sicilian), Morel studied advanced guitar in Buenos Aires with Pablo Escobar, then set off on his travels as a guitarist, performing around South America and Cuba before hitting the United States at the end of the 1950s and making his Carnegie Hall debut in 1961. He eventually settled in New York City, where he performed regularly at local clubs (including the great jazz venue the Village Gate) and continued to tour and record internationally. 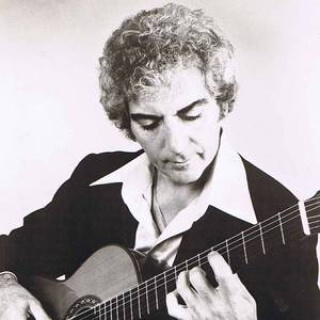 These days he’s perhaps best known as a composer of many classic original pieces for the guitar, including “Danza Brasiliera,” “Romance Criollo,” “Sonatina,” “Pampero,” and so many others that have been recorded by top classical guitarists through the years. Additionally, he is noted for his many imaginative guitar arrangements of everything from George Gershwin to Dave Brubeck to Leonard Bernstein songs from West Side Story to The Beatles.